The second season of the Northern Territory’s Million Dollar Fish competition kicked off on 1 October, with 101 prize-tagged barramundi swimming in Top End waters. The $2m prize pool includes one million dollar barramundi and 100 others worth $10 000 each, as well as sponsor prizes worth $96 000. The competition is the richest of its kind in Australia with more than 22 000 people already registered with anglers locally, interstate and overseas all trying to hook the big one. Three weeks into the competition five tagged $10 000 fish have already been reeled in by lucky Top End residents. 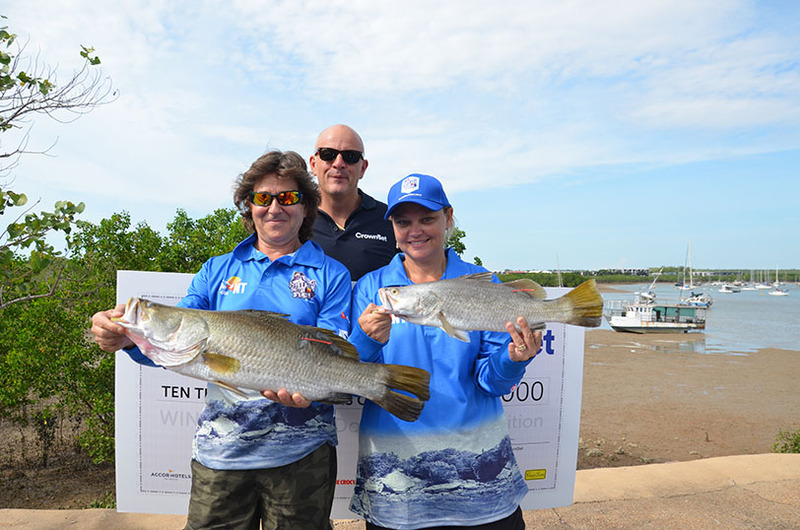 Kellie Carroll created history when she caught the very first $10 000 tagged barra in Darwin Harbour within days of the competition opening, becoming the first female winner in the competition’s history. CrownBet are the major sponsor and underwriter of the $2m cash prize pool. Participants must register online at www.milliondollarfish.com.au to compete and be eligible to win one of the bonus sponsor prizes.